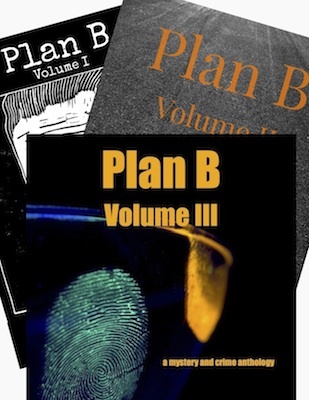 The long-awaited Plan B anthology is now available! DRM-free downloads in mobi (for Kindles), epub (most other ebook readers) and pdf (desktop and tablets). Go pick up your copy now for a baker’s dozen of the best new crime and mystery stories for just $2.99. If you see a deal sweeter than this, be suspicious. Totally thrilled to be included here. Thanks, Madame Editor.